Have you ever wondered where the bonus codes for all the casinos and bookmakers, hotels and airlines, shops and online games come from? How is it that some websites are in position to give their users a bonus code activating offers for the site that the bonus code is actually valid for? The answer is something called affiliate marketing. 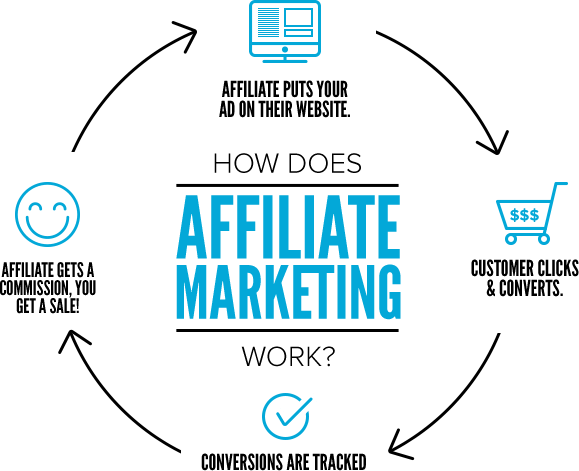 Affiliate marketing is a way of marketing that helps promoting a brand through other companies. So a big brand gets promoted by a multitude of different sites in order to reach the widest range of potential customers. Brand owners are sharing revenue with them. And in most cases it’s a win-win situation. Affiliate sites are earning money for the thing they do best – which is reviewing the brand. And the brand owners are happy with all the new customers they might never have reached if it wasn’t for the affiliates. What does all of this have to do with bonuscodebets.co.uk? bonuscodebets.co.uk has deals with a lot of bookmakers and casino operators. We are one of the biggest in the market with some close connections with the brands like bet365, William Hill, Ladbrokes etc. However, this doesn’t mean that we are promoting them because of the deal. Our main goal is to provide our users with all the relevant information about the bookmakers and let them decide whether on not they want to sign up at a particular bookmaker. Our partners supply us with a lot of special deals for our users that help us promote them. We are the first ones that are informed about a change of offer (so our content is always up to date), we get unique offers and a heads up every time there is a special action – for example, when a big game or tournament is coming up. The bookies inform us, we inform you. This way we are all one big well informed family of betting lovers. Very critical. We are trying to fight for the best offers on behalf of our users. This way we help more users find the best bookie for them and the bookmakers have more punters redirected from us. We believe there is great value in being honest. It only makes sense that a user who has been lied to would not go back to register with the page again. If we want to maintain our users we have to keep them happy. And the best way for that to happen is to give them exactly what they expect from us. This is why we check each bookmaker thoroughly before recommending it to anyone. This is why all our reviews are long and informative. This is also the reason we conduct tests like The Bookmaker Customer Service Test where we quizzed influential bookies evaluating the level of the customer service in all of them. We are also very confident in our accuracy. We are happy to address any doubts you may have. If you still have questions about us, bookmakers offers or bonus codes, get in touch: We have live chat (bottom right corner of the window) or email contact@bonuscodebets.co.uk.